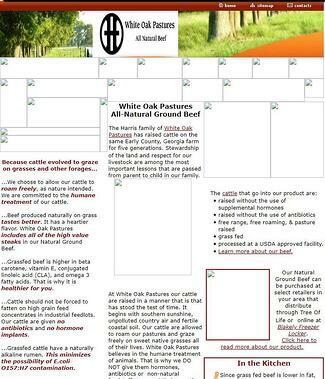 Our first versions of whiteoakpastures.com were simply placeholders for information. In 2010, we started selling a limited amount of grassfed beef through our website and shipping these items via UPS. Today we offer hundreds of SKUs of meats and poultry, as well as tallow goods, leather crafts, spice rubs, and wearables. 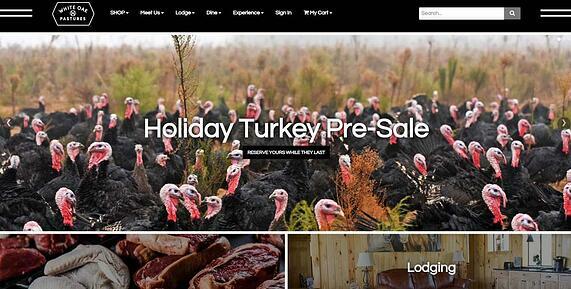 We couldn’t be more excited about this big leap into the e-commerce world. 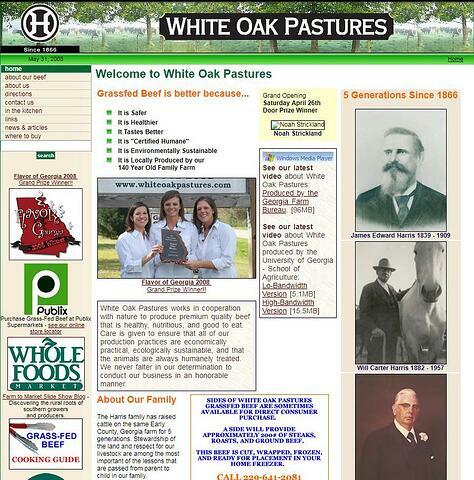 The White Oak Pastures website from 2015 until September 2018. You will undoubtedly notice our new look with rich photos and dark backgrounds, but it’s also responsive! Some customers were frustrated with our previous site while trying to order on a tablet or mobile phone. Thankfully, that is a problem of the past. Our $9.95 flat rate ground shipping launched in June in preparation for the new site, so we hope you will take advantage of that. We have gotten a great start with some updated photos and will continue to do so, specie by specie. We also refined our inventory tracking to serve as a real-time snapshot of actual inventory. 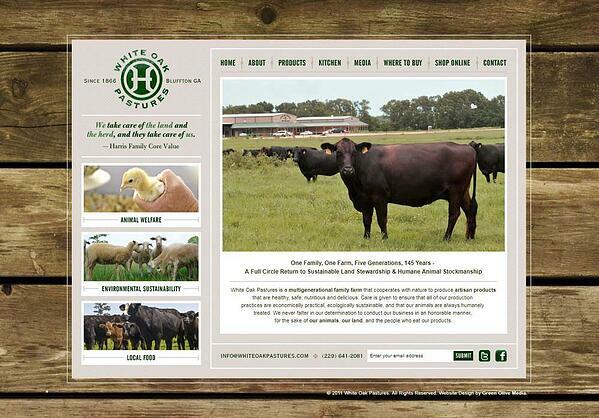 You’ll find the content updated and rearranged to better suit our open invitation to visit our farm. We have also taken the opportunity to weave the information into the site through blogs we have shared to our newsletter subscribers. Soon we will have the history of our small town of Bluffton recapped under the “EXPERIENCE” tab. In the near future, we plan to offer customers the ability to upgrade their shipping container to a compostable cooler. All of our products will be labeled using the new, refreshed branding. We look forward to additional products in our Farm Store section which includes some of our best sellers in our General Store located in downtown Bluffton. Lastly, we are always looking for ways to guarantee our consumers’ shopping experience is convenient and hassle-free. 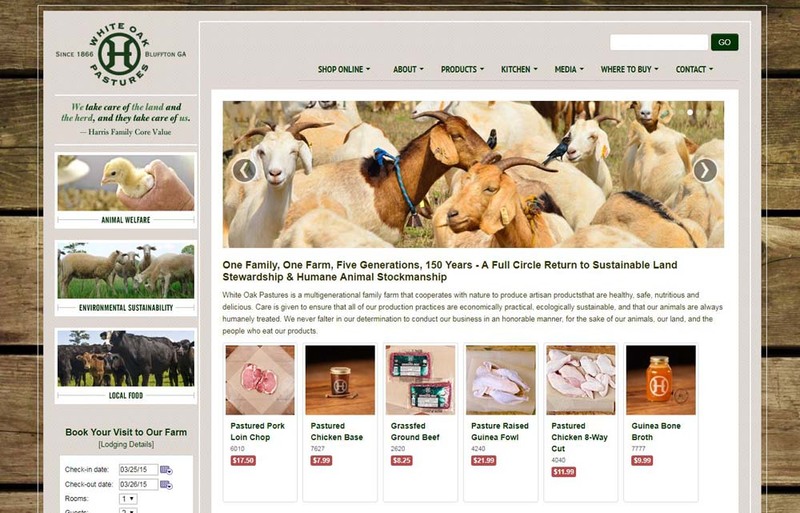 It has never been easier to shop at whiteoakpastures.com. 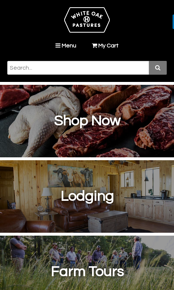 Where else can you buy 10 species of meat and poultry, tallow items, leather items, eggs, vegetables, pets chews, and artisan sausages, all to be shipped from the farm that produced them? The answer is nowhere.